When I first heard about Evolution, I had some doubts. 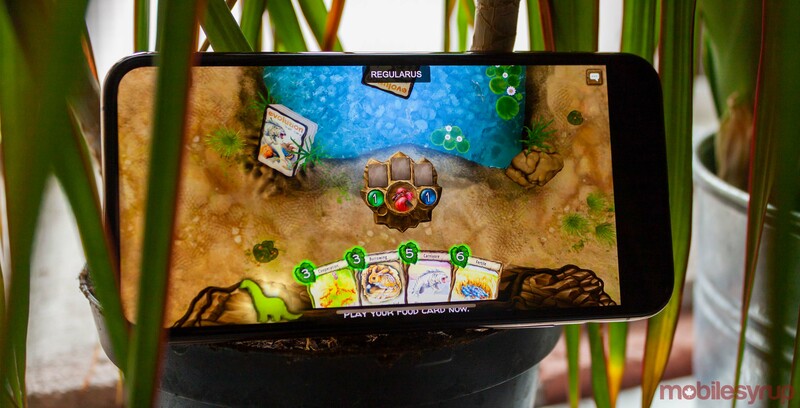 Transforming a board game into a palatable mobile experience can be challenging. However, North Star Digital has succeeded in bringing Evolution to phones, as well as computers. The game launches on mobile on February 12th, but I’ve been enjoying the game on my iPhone for the last week or so. From the beginning, Evolution has run incredibly well. It’s a smooth, polished game. For most of my time in testing, I was using a pre-release version of the game, with graphics that weren’t quite up to par. However, a recent update before writing improved the graphical fidelity. The game features a unique art style that looks almost hand-drawn, with some 3D elements scattered through the levels. My only real complaint in this department was an odd design choice on iOS. The game had a large black bar at the side of my screen (I cropped it out of most of my screenshots as it looked odd). I played the game on a XS, so it looked like the bar was there to keep the game elements away from the notch. Not an ideal solution, but acceptable given the circumstances. However, the bar isn’t anchored to the notch, and if you turn the game the other way, the black bar moves to the bottom of the phone’s display and the notch covers part of the game. Ultimately, it’s a minor complaint, but given the way the game is designed, the black bar should be anchored to the top of the display. However, graphics are hardly the be all and end all, especially in this game. 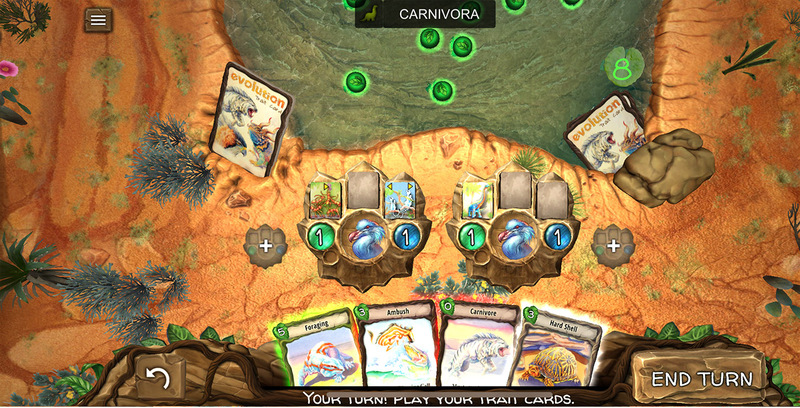 Evolution is a strategy card game that tasks players with adapting to their ecosystem. In other words, the graphics are fluff around the actual gameplay. Depending on the game, two to four players start around a watering hole with their ‘species.’ All species start as herbivores, eating food from the watering hole. 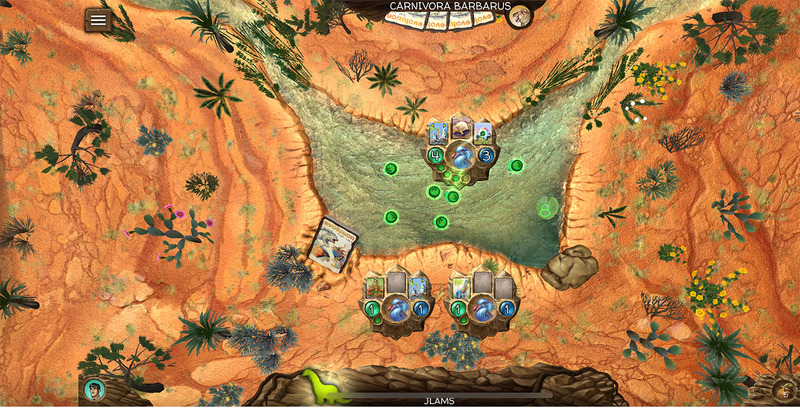 However, as the game progresses, players draw cards from a central deck. Cards contain special traits you can add to your species, such as ‘cooperation’ which allows your species to share food it collects with another member of your species. There’s also the carnivore trait. Equipping that on your species means you can no longer enjoy food from the watering hole: instead, you must attack other species in the game. Each species can take up to three traits. Cards can also be used to increase your species population — essentially a life counter — and body size. The larger the population, the more food it needs. Bigger species are harder for carnivores to attack. Players can also use cards to create entirely new species if they think the ecosystem can sustain that many creatures. 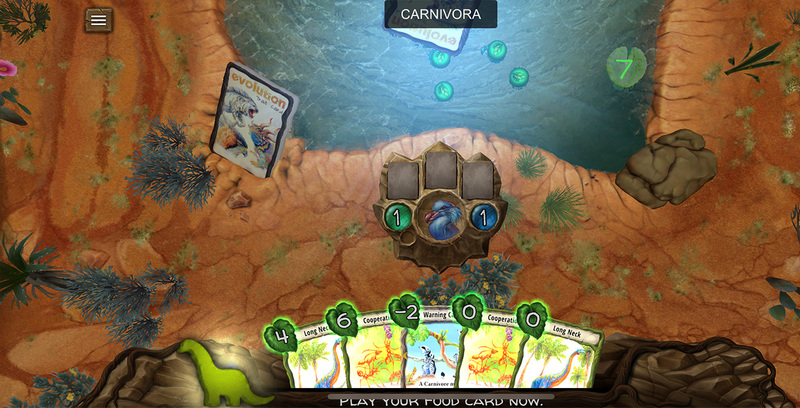 Finally, at the beginning of each round, players must sacrifice one card to become food. 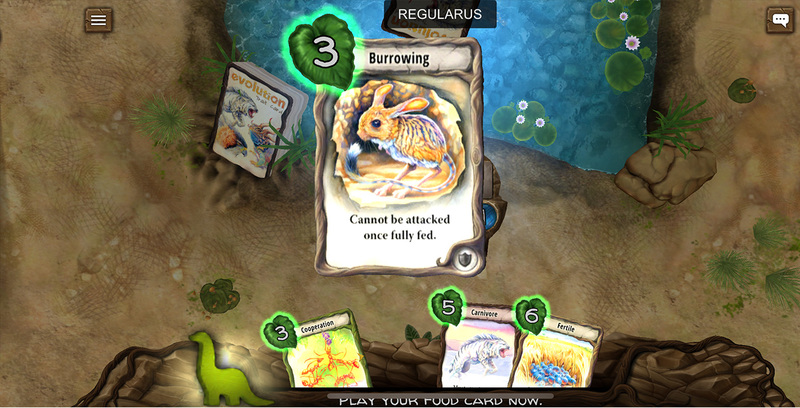 The number in the top left corner of the card determines its food value — some cards increase the food available and others decrease it. Playing Evolution is a dangerous game of risk. If you’re competing with another herbivore for limited food at the watering hole, choosing how much food to put in the watering hole becomes a calculated decision. Choosing when to adapt is also crucial: not all watering holes can support carnivores. Ultimately, Evolution is a smart, well-designed game. I found the matches to be challenging and exciting. If you’re a fan of strategy card games, this is an excellent choice, and I highly recommend it. You can try Evolution on iOS and Android for free, and buy it for $13.25 when it launches on the 12th. It’ll also be available on Steam for $17.49. Plus, North Star Digital will offer a 20 percent discount to anyone who purchases Evolution in its launch week.